Jamie Gray is Director, Marketing for LOC Software where he is responsible for planning, developing, and implementing branding strategies for North & Latin America. LOC Software delivers solutions designed to allow more frequent, profitable, and manageable transactions. Jamie took time to talk with VARinsights.com about how to – and how not to – market in retail, channel partners, retail trends, and more. VARs take note: LOC Software might be a software provider, but resellers can market and package your offerings to the retail and hospitality industry similarly to win more business. Q: What are some of the best ways to market software to retailers? Gray: Depending on complexity of the solution, the best way to market is “in person.” Now this can take several forms. Regional tradeshows are still one of the best bangs for the buck, however time is often limited, distractions usually abound, and sometimes that one-on-one experience can be diminished. Still very effective, though. Another option is a more targeted demo-day or reveal, usually hosted in a hotel conference room with a select few prospects. We usually start these with a more general review of options and functions, then move into more specific scenarios brought by questions and dialogue with prospects in the room. Very effective in getting interest, advancing that interest, then taking to a private session as needed. Lastly, no one should diminish the effectiveness of online demos. Sure, the parties are not in the same room, eliminating some personal feedback, but the one to one focus is exactly what many prospects like. There is not a huge commitment of time by either side, and both can feel out the other for interest, need, requirements, etc. Many times, successful online demos lead to final in-person meetings to wrap up deals. What is great, the audience already has a solid understanding and is prepared with solid questions more targeted to – “okay, I saw that, now how do we implement?” That is an outstanding position to find yourself in. Q: What marketing tactics do not work for hospitality customers? Gray: I do not engage with food service customers; however I suspect their mindset is very similar to many grocery retailers. 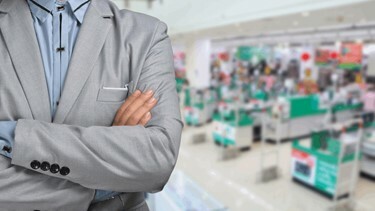 A sales person should never assume he/she knows how to best run a restaurant/retail establishment, but rather allow the prospect to influence the direction of the demo/discussion, while the presenter simply fulfills the needs with a system that works the way the retailer’s process already work. Q: When it comes to marketing to channel partners, how is that different from marketing directly to your software’s end users? Gray: In my world, it is not all that much different. My approach to resellers is very similar to retailers. Be concise, effective, and direct — plus show how what I offer can make/save money, increase efficiency, or eliminate headaches. Q: LOC has products for grocery, convenience stores, pharmacies, and specialty retailers. Why can’t software just be a one-size-fits all solution? Gray: In many regards, the software solution is the same, if not identical. There are certainly minor differences in organization or hierarchical structure of the system, but for the most part, retailers: buy things they do not manufacture, look to sell those things at a profit, and if they cannot sell them, figure out why or how to better manage them. In reality, a can of beans is the same as a gallon fuel, which is the same as bottle of prescription medicine, which is the same as any widget. All have costs, desired profit capabilities, and shelf life. Q: LOC is more than a software company — it also has a professional services division. Why is this important, and why should other software companies care about offering services in addition to software? Gray: Depending on an ISV’s go-to-market strategy, a professional services division can take two main forms. First, for those ISV’s that are purely channel focused, the PS division is central to assisting resellers develop/customize/enhance the base offer. For ISV’s that sell direct to customer, the PS division does much the same activity, just focuses more as a top line revenue producer. In many instances, ISV’s try a combination approach, but in my opinion, this approach leads to unnecessary channel conflict more often than not. Q: A lot has changed in the retail space since LOC was founded in 1987. What are some of the biggest industry trends/changes you see coming down the road in the next 30 years? Gray: Payments, payments, payments. We’d probably be lucky to predict what will happen in two years, let alone 30, but rest assured payment processing will change and evolve. Whether it remains in the plastic card/chip format remains to be seen. For sure new options will become available — hopefully with decreased expense to the retailer. In this instance, trickle-down economics dominates for sure. I suspect shopping as a delivery mechanism also will adapt. What’s funny is we could actually go back in time a bit, with a slight twist. That’s usually the way things work anyway — somehow Facebook is totally different from BBS’ or forums? Remember the classic catalog store/showroom stores, like Best Products? I could easily see grocery and other retail outlets taking a similar approach to help better control inventory. Instead of visiting a store to select a product that will be delivered on a set of conveyor belts, consumers may create their initial requests online or in-app, then pick up their order at a smaller concept, perhaps more numerous, delivery center. Many grocers are testing this basic theory today with curbside pickup options. Imagine the next step — outlets that only offer pickup. Sure, there will be full service outlets too, maybe just fewer and farther between. Q: What other advice do you have for software companies selling solutions to the restaurant/hospitality industry? Gray: If specific to restaurant and hospitality, I will steal a line from a mentor of mine: Cash the check first. So many choices for a consumer’s eating out budget generally lead to short term restaurant concepts. For traditional retail: Best to focus feature and function on operational excellence, whether that is increasing efficiency in whatever, decreasing costs to do whatever, or providing data that was not available yesterday. Just as important as providing the function or data element is to also provide a clear, concise explanation of why something was achieved or offer options to “fix” whatever the data is pointing out as deficient. Providing data or action is one thing, educating the retailer on why or what to do next is even more important.